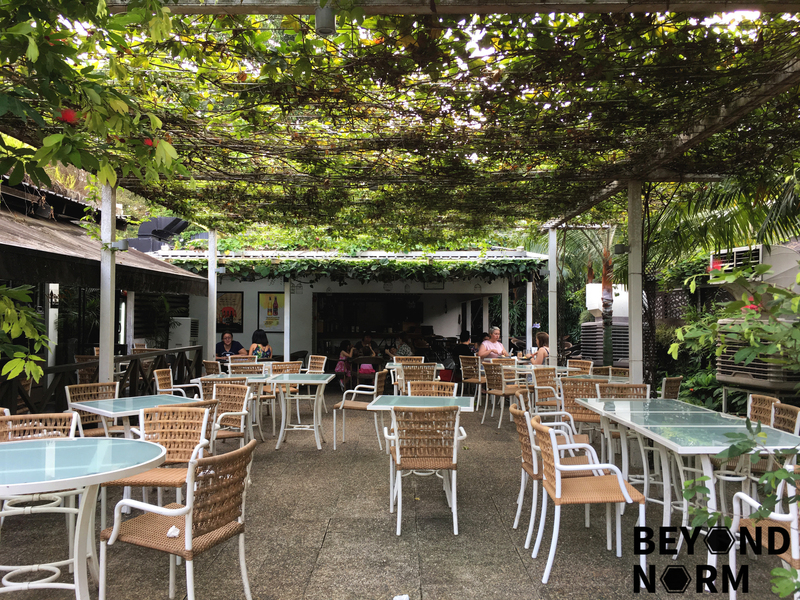 Nestled among the lush greenery of Bishan-Ang Mo Kio Park is Canopy Garden Dining. It is located at the part of the park between Bishan Road and Marymount Road, near the car park entrance along Ang Mo Kio Avenue 1 (just after Ang Mo Kio Street 32). The location itself is peaceful and unassuming, making it a great form of getaway from the bustling city whilst remaining accessible. It certainly doesn’t hurt that they serve up a wide range of brunch offerings to appease a variety of cravings. They have an alfresco dining area which immerses patrons in a garden dining experience amidst the integrated park space. The day that we visited Canopy was rather hot, so we opted to dine indoors instead. The interior itself is decked out with full-length glass windows allowing a generous dose of natural light to shine in (making it perfect for photos!) whilst giving you a view of the surrounding greenery. 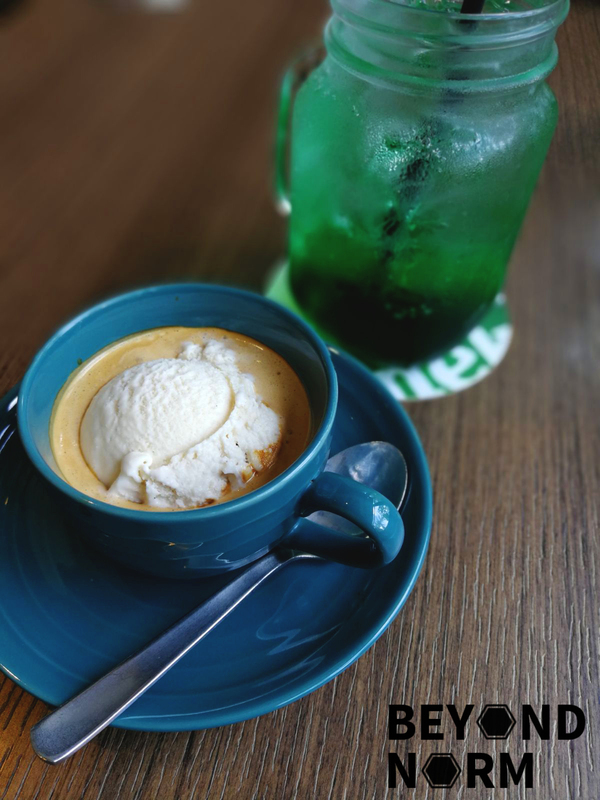 To cool us down from the hot weather outside, we ordered the green mint Italian Soda (S$7) and the Affogato (S$7). The Italian Soda is definitely something that I would not recommend at all. We did not expect it to come as a syrup concoction that tasted more like cough syrup than mint. Needless to say, the colour of the syrup was equally traumatising. The affogato wasn’t too bad but a different choice of ice cream may have heightened the flavour of the coffee better. 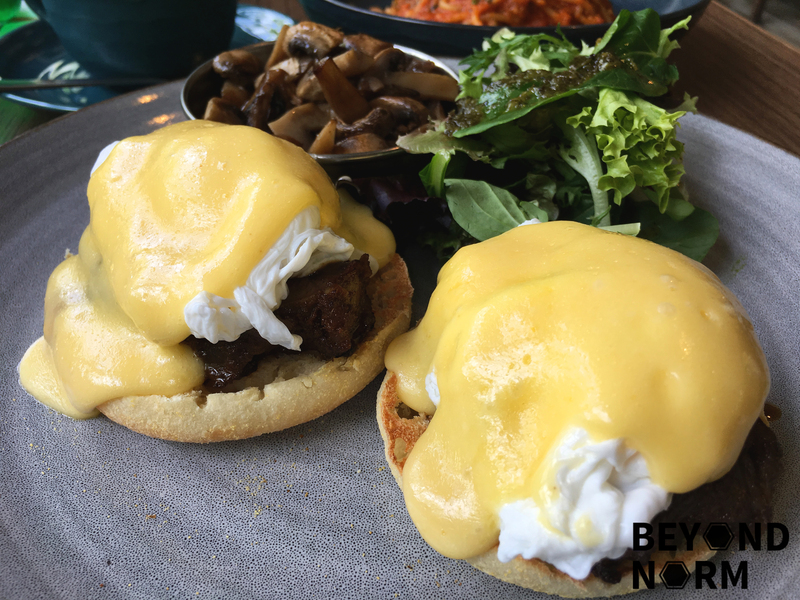 For our brunch, we ordered the Beef Cheek Benedict (S$20). 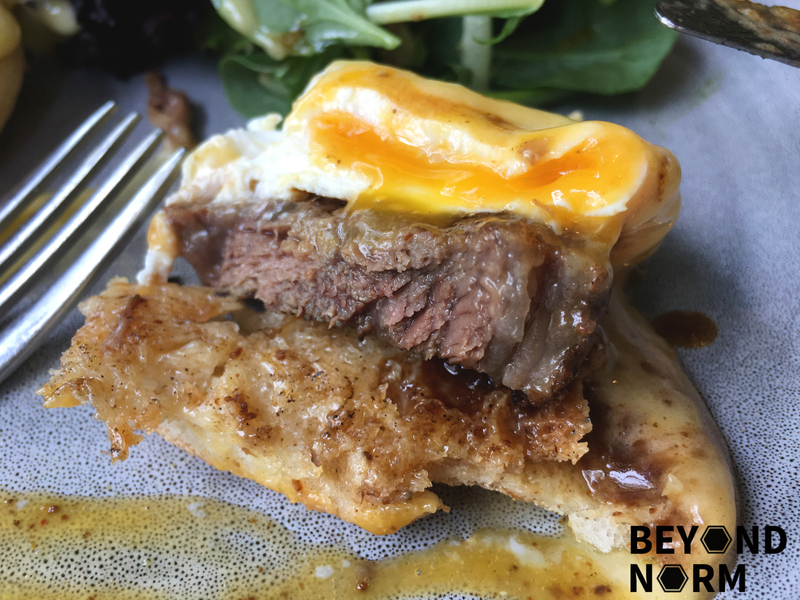 On it’s own, the Hollandaise sauce wasn’t the best as I could distinctively taste the separation of it’s egg-y and lemon-y flavour. However, it complemented the rest of the dish when eaten together. To my surprise, the beef cheeks was tender and cooked to perfection. Overall, a really wholesome dish. 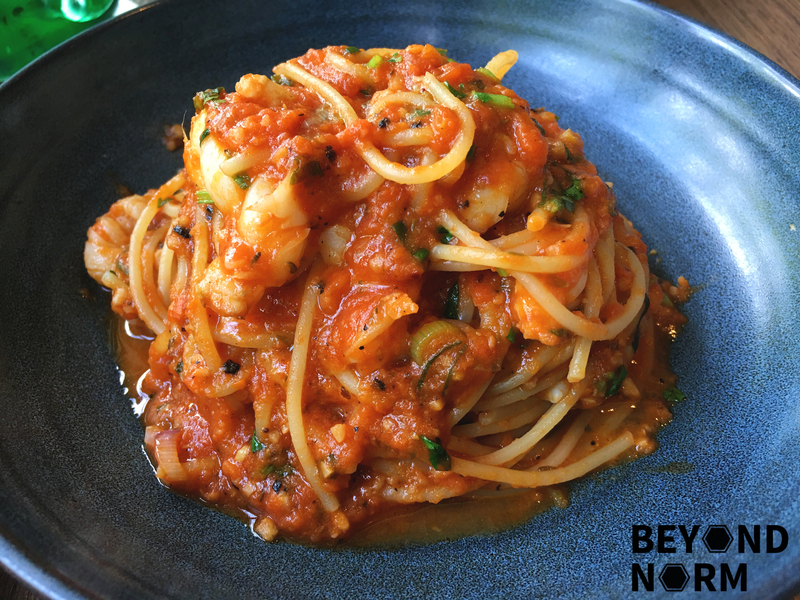 We also ordered the Lobster Pomodoro (S$20). The sauce was a bit too salty for my liking but besides that, it’s flavour was good. The lobster was tender and juicy. In my opinion, the food at Canopy is decent for its price. 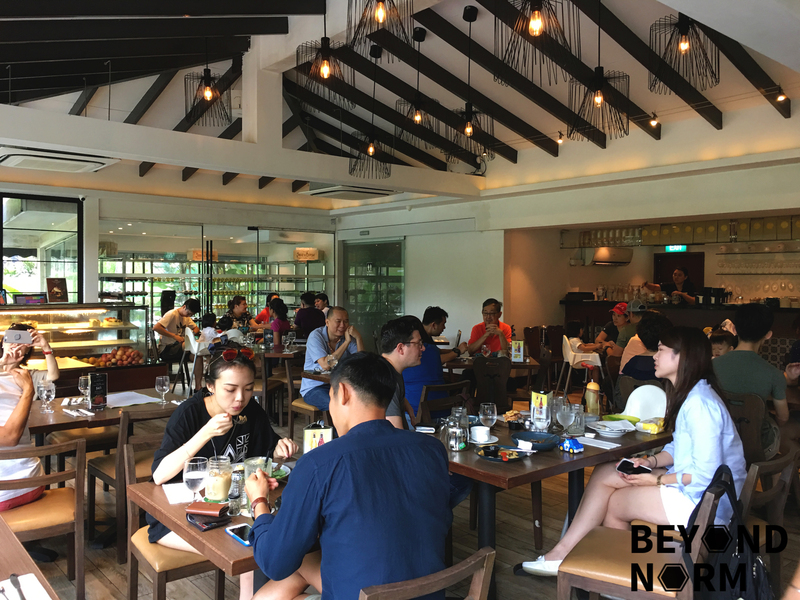 If you’re looking for a nice quiet spot to catch up with friends, do consider checking out Canopy during off-peak timings as they do have a huge brunch crowd on Saturdays!